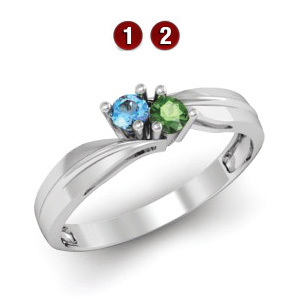 The 14kt white gold Embracing Arms mother's ring offers stone personalization for two round genuine gemstones. Each gemstone is 3.0mm in diameter. Gold content weighs 3.25 grams. Made in USA.